Elias Cairo was born in Salt Lake City to a big food-loving Greek family, who loved to butcher lamb and goats utilizing old world preparations and preservation techniques, thus setting the foundation for his lifelong fascination with meat. Elias started cooking at a young age in his father’s restaurants, and at the age of twenty began a European trade apprenticeship in Switzerland, where for over four years he was taught classic techniques of cooking, butchery, and charcuterie by European renowned Executive Chef Annegret Schlumpf. 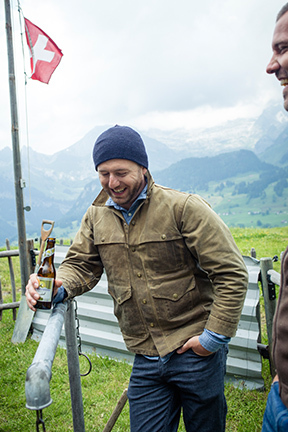 During that time, he also attended Berufsschule in Wattwil, Switzerland for formal culinary education. Upon completion of his apprenticeship and schooling, Cairo moved to Kos, Greece where he apprenticed in a hotel kitchen and was responsible for developing menu items based on what farmers and fishermen brought him daily. Upon returning to the United States, he headed to Portland, Oregon, lured by the city’s growing reputation for cultivating and nurturing culinary talent. He took a line cook position at venerable Castagna restaurant, working his way up to the position of sous chef in less than a year, and eventually earning the title of Executive Chef. 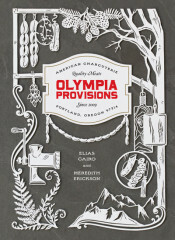 In summer 2009, Elias left Castagna to start Oregon’s first USDA certified meat-curing facility, Olympic Provisions, which is also a European-style restaurant and deli. When he’s not curing meat and trying new foods, Elias spends much of his free time in the Great Outdoors of the Pacific Northwest, fly fishing and rock climbing. His adventurous spirit has seen him through many adventures both local and worldwide.